Inside the New Wing at the Isabella Stewart Gardner Museum. 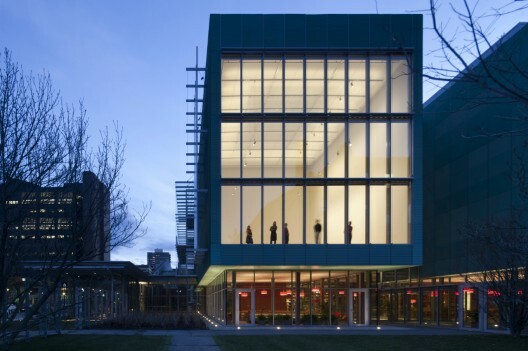 In January of this year, the Isabella Stewart Gardner Museum’s new wing opened to the public. Celebrated architect Renzo Piano designed the brilliant spaces which give contemporary form to Gardner’s legacy. The Gardner museum in the Fenway neighborhood is one of the most enviable collections of art in the world. 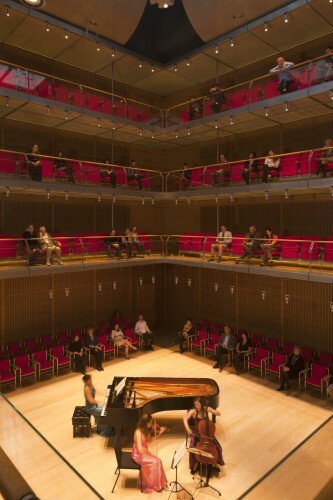 It’s affectionately called “the Palace,” and Piano’s addition to this aesthetic kingdom is set 50-feet back, is larger in square footage, but smaller in height. The addition serves as the new entrance, providing a smooth transition from the city streets to the serene oasis of the museum. Passing through the entrance into the Palace is a corridor lined with trees, guiding guests directly to the museum’s big “wow” factor: the impressive and newly restored Courtyard. The Tapestry Room, formerly used as a displaced music hall, was also restored for it’s original purpose. The Calderwood Performance Hall now occupies a perfect cube-shaped space in the new wing – sixty front-row seats, on three balconies, on all four sides of a ground floor stage. Luisa Lambri, an Artist-in-Residence in 2008, who will return to photograph the new wing. In addition to upcoming exhibitions and installations, the Gardner’s new educational programs, a Landscape Residency fellowship, enlightening lecture series, and a multipurpose Living Room orientation space in the new wing have brought visitors from all over to explore and discover the rejuvinated Isabella Stewart Gardner Museum. Our Boston bed and breakfast in the South End is just a 15 minute walk from this artistic masterpiece. Our contemporary decor, warm colors, and vibrant artwork encourage a relaxing stay, so leave every detail to us. The staff at Clarendon Square would love to hear about your experience at the Gardner museum! This entry was posted in Uncategorized and tagged art in boston, boston bed and breakfast, boston museums, calderwood performance hall, fenway, isabella stewart gardner museum, renzo piano, south end by admin. Bookmark the permalink.